EASTERN and Oriental (E&O) Bhd is sponsoring RM200,000 for Penang’s annual Chinese New Year celebration for the 10th time. The company’s group corporate strategy director Lyn Chai said they were honoured to support the yearly festival which would be held tomorrow. “It’s a long-standing commitment from our side for this highly anticipated Chinese New Year celebration. “We are honoured to play a role in this celebration which is rich in culture and heritage,” she said after presenting a mock cheque to Chief Minister Lim Guan Eng in a simple ceremony at E&O Hotel recently. The celebration will be held at Esplanade and six streets in George Town from 4pm to midnight. The streets — Armenian Street, Cannon Street, Chulia Street, Penang Street, Bishop Street and King Street — will come alive with myriad activities. The public will be able to visit the ancestral temples of different clans which are usually closed to the public on other days of the year. Lim, in his speech, thanked the E&O Group for its initiative. “We want to make Penang a destination for tourists to visit during the Chinese Year celebrations. “These events will surely attract both foreign and local tourists,” he added. “It is a fact that tourism plays an important economic role in the state. “We need to create good experiences for tourists so that they will return again,” he said. Lim urged other companies to emulate E&O Group’s example and carry out corporate social activities to boost tourism and help the community in general. Present to witness the cheque presen-tation were Tanjong MP Ng Wei Aik, Penang Chinese Clan Council vice-chairman Ong Teik Kim and E&O group hospitality and lifestyle director Michael Saxon. Ong said the state event would be able to uplift and preserve the heritage and culture. He said celebration was initiated by the Penang Chinese Clan Council back in 1999. “It started off as a street party,” he said. Ong said support from the state government as well as private sectors was vital in organising and promoting the event every year. THE demolition of several ancillary buildings at the Runnymede property in Jalan Sultan Ahmad Shah in George Town, is accordance with the planning permission granted to a developer by the Penang Island City Council (MBPP). State Local Government, Traffic and Flood Mitigation committee chairman Chow Kon Yeow said the planning permission was given in 1999 by MBPP on the site (lots 131, 132 and 133) for a mixed development proposal. He stressed that however, the three-storey former Runnymede Hotel will be restored. Chow was speaking to reporters at a press conference in Komtar yesterday on demolition works of theancillary buildings that were carried out recently. Also present were historian Marcus Langdon and George Town Heritage Action co-founders Mark Lay and Joann Khaw. Langdon said the buildings had heritage value and should bepreserved. He also expressed his disappointment that nothing could be done to preserve the buildings. When contacted, Penang Heritage Trust (PHT) president Khoo Salma Nasution said PHT had asked for a review of all existing developments in Jalan Sultan Ahmad Shah. “There should have been a review by the MBPP and the people should have been made aware of the situation,” she said. Khoo added that now that the state has a conservation policy, it should review all existing approvals. “See what else has been approved and make it transparent. This is why we are always asking for some transparency in planning. At least let the people comment and see what can be done. “If we cannot prevent it, at least we can document it,” she said. There was a time when puppetry was a common art form, but we get to see less of this theatrical display these days. Thankfully, we’ll once again be able to enjoy the beauty of puppetry thanks to Pusaka. Pusaka has teamed up with Publika to present its first Pusaka Evenings event for the year that will showcase a Teochew puppetry performance by the Kim Giak Low Choon Teochew Puppetry Troupe from Penang. The Teochew puppetry show will be held at the Black Box in Publika, Solaris Dutamas from 5pm to 6pm for the talk, followed by the performance from 8.30pm to 9.30pm on February 21 (Sunday). Pusaka Evenings is a series of cultural evenings that will feature authentic traditional performances from throughout Malaysia and the shows are free and open to all. The Kim Giak Low Choon Teochew Puppetry Troupe is the last remaining troupe of its kind in Penang and it is led by master puppeteer Ling Goh, who is also a third-generation traditional Chinese opera performer. Teochew Puppetry is a rare form of puppetry that narrates folk tales and legends through a skilful play of marionette puppets. It is a more traditional and challenging form of opera, requiring fast and fluid animation of puppets to imitate human-like gestures. Traditionally, puppetry troupes consist of nine members divided into groups of three to handle puppets, sing and play musical instruments that include gongs, drums, er hu and cymbals.. It takes two to three weeks to create each puppet, all hand-crafted from wood, clay and paper. Each puppet can easily weigh several kilogrammes each. The puppets are controlled by iron-rods attached to the back and limbs. The troupe will be performing “The Love of the Celestial Fox”, which is a love story about a thousand-year-old celestial fox named Lotus who falls in love with Sangsheng after descending to the mortal realm. The performance will be preceded by a talk by Goh. The Penang government has assured the public that the agonising wait for a new and refreshed Chowrasta Market will end come October. State Local Government committee chairman Chow Kon Yeow said the 19-month delay was due to an earlier appointed 'stagnant and slow’ contractor. The snail-pace construction, he said, has caused the government to bear an additional RM1.67 million in costs to renovate and upgrade the iconic market along Jalan Penang. Chow said the snag has caused the total project cost to balloon up from RM12.2 million to RM13.9 million. “We will claim the additional cost incurred from the contractor,” he told reporters after a site visit. The project was awarded to a contractor through an open tender on Apr 1, 2013. They were supposed to complete the upgrade by end of March last year. Meanwhile, Chow said the state government has decided to terminate the contractors last Nov, despite being given an extension twice. “MBPP then offered the project to the second lowest bidder of the project during the earlier open tender,” he said. The newly awarded will build the remaining 30 per cent of what is left by the previous contractor at a cost of RM7.2mil. The 126-year-old market that is synonymous with Penang’s heritage was built in 1890. It is touted as the best place to get Penang’s best known cookies, the tau sah pneah, jeruk and old books. 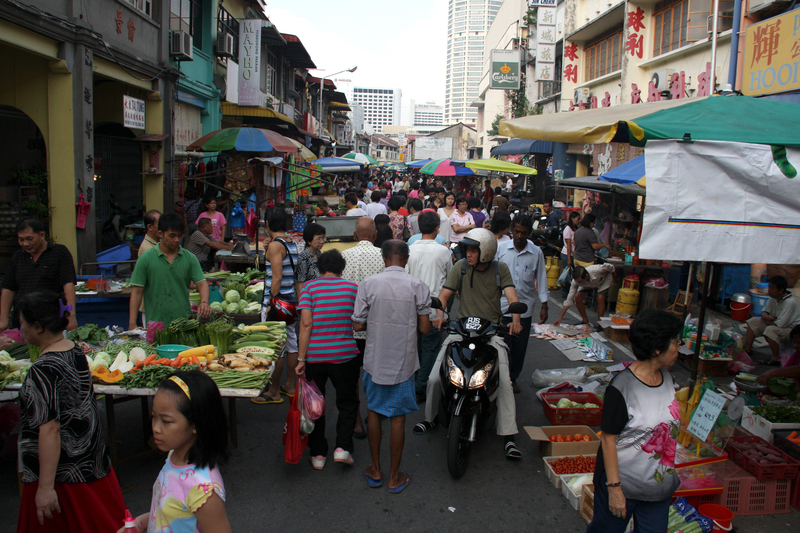 It is also touted to be the oldest market in Malaysia. However, the market was in a dire need for repairs and the state government had called for tenders to fix them. At present, some 90 traders are selling their wares at the market. When completed, the market could take in about 170 traders. The number of traders outside the market would be reduced by almost half, from 138 to 66. Once ready, some 120 parking lots would also be available. FEBRUARY 4 — What is Penang without her green? What is Green Lane without the Green? Penang is slowly losing its green as more concrete jungles are taking over for development and paving the way for more vehicles. Penang is slowly losing its green as more concrete jungles are taking over for development. Thus, the Consumers’ Association of Penang (CAP) is very disappointed to learn that the City Council of Penang Island (MBPP) will be uprooting several trees at Jalan Masjid Negeri, along the stretch across the road from the McDonald’s outlet. This is done to make way for another car lane, giving priority to vehicles over our trees and environment. This is not the first of this odious act. MBPP had already removed more than 60 trees along the 700-metre stretch of road from the Jalan Udini roundabout to the Shell petrol station on Jalan Masjid Negeri back in 2012. We had raised our objections then but to no avail. What is the fate of the trees that were transplanted then? One issue to be seriously considered by MBPP is whether the previous road widening efforts managed to eliminate traffic congestion that we are facing today especially along Jalan Masjid Negeri? If it is now clear that even doubling the road width does not resolve the problem, why are the authorities now embarking on another bout of road widening, this time of a lesser dimension but with huge costs to the roadside trees? CAP objects to the removal of our roadside trees. The beauty of some of Penang’s roads is attributed to its tree-lined roads. The trees along Jalan Masjid Negeri add charm to the neighbourhood and also provide important benefits such as the provision of shade, the buffering of noise, improve the microclimate of the area and function as natural purifier of air pollution. When the trees are gone, we lose all these essentialities they provide us. Clementine trees growing by the roadside close to the Penang hilltop railway. As for the traffic problem, thus far, the authorities have only paid attention to the supply side of the traffic equation and not the demand side. That is, unless the authorities have the political will to decrease the usage of private vehicles through higher parking charges and imposition of fees for road usage particularly during peak hours, merely widening roads is a futile exercise. The authorities must look for holistic long-term solutions and not short-term solutions. CAP wants an assurance from the State Government and MBPP that the trees along this stretch of Jalan Masjid Negeri will be spared. The roadside trees of Penang are our heritage which must be conserved in situ. Urban trees are a public good that must be cherished and not become victims of development. From tomorrow, the Pulau Tikus Loop (PTL) free bus shuttle – provided through a public-private partnership between Gurney Paragon, Gurney Plaza, Rapid Penang and local assemblyman Yap Soo Huey – will be extended to Mt Erskine. The new route covers Jalan Kelawai (starting at Gurney Plaza), Jalan Tanjung Tokong, Jalan Fettes, Jalan Mt Erskine, Jalan Burma, Jalan Pangkor and Jalan Kelawai (ending at Gurney Paragon). The PTL will no longer go down Jalan Bagan Jermal. “We are launching the PTL extension ahead of Chinese New Year because we hope that people going to Pulau Tikus shops and businesses, Pulau Tikus market, Mt Erskine market, Fettes Park shops and businesses, and of course meeting up with friends and family at the Gurney Plaza and Gurney Paragon malls, can use this bus to avoid parking difficulties and traffic congestion,” said Yap. “As usual, we are expecting an increase in tourists during the holiday season and even some Penangites returning without having their cars with them. “There is an increase of 10,000 new cars and 3,000 newly qualified drivers every single month in Penang. Initiatives such as the Pulau Tikus Loop are the only way to help reduce dependency on cars. 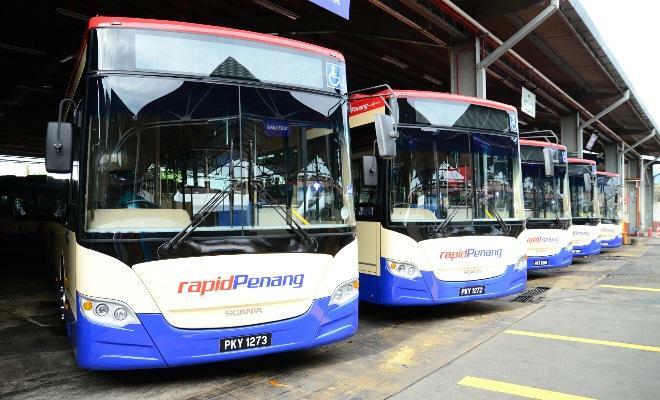 The Rapid Penang bus used for the PTL provides a clean, comfortable, air-conditioned and hassle-free environment for passengers to travel,” she said. The bus departs from Gurney Plaza every hour from 8am to 10pm, and ends its loop at Gurney Paragon Mall. Each loop takes about 30 minutes and stops at all Rapid Penang bus stops along its route. The PTL bus can be recognised as a Rapid Penang bus with an LED panel that says “Free Pulau Tikus Loop”. The PTL was launched in October 2014. It records an average of 5,000 passengers a month with passenger numbers steadily increasing. In December 2015, more than 8,000 passengers used the PTL. The service has been fully sponsored by Gurney Paragon and Gurney Plaza since it launched in 2014. – February 4, 2016. WHILE the art of making nian gao is seemingly becoming rare over the years due to its laborious process, a family in Penang still maintains the tradition of making the sweet and sticky glutinous rice cake. The close-knit family of Teh Khooi Sian uses the occasion as bonding time during the festive period to make the traditional delicacy, one of the most sought-after items during the Chinese New Year. Teh, 63, said he and his family carried the practice of making nian gao throughout the year and not just during Chinese New Year period. “On normal days, we make them in rectangular sizes and distribute them to pisang goreng stalls in Penang. A transparent type of paper, the similar kind which is used to steam herbal chicken, are used to line the metal cans before the mixture is poured in for nian gao made on normal days. Delicious Nian Gao ready to eat. “However, during Chinese New Year, banana leaves are used instead. We start making the nian gao for the festivities two weeks before Chinese New Year,” he said in an interview on Tuesday. Teh and his wife Tan Kun Eng, 56, are retirees who used to operate a pisang goreng stall opposite the Heng Ee High School in Hamilton Road. The couple retired two years ago but continued making the nian gao. “It’s been a family affair (making the nian gao) where the whole family is involved. Our three children and occasionally our nieces helped us. “We started making nian gao after my best friend shared his recipe with me. From then, I started expanding the business until today,” he said, adding that the family makes the nian gao from their home in Jelutong. Teh, who has been making the delicacy for over 20 years, said nearly 380 nian gao are produced per day, and the delicacy is distributed to most of the markets in Penang. Teh noted that the ingredients for making nian gao were white sugar, water and rice flour. Nian Gao comes in all shapes and sizes. “The flour, which has been soaked, are then kneaded with the sugar and water before the mixture is poured into metal cans wrapped in smoked banana leaves and steamed for 14 hours in a giant wok. “The best texture of nian gao comes with more than 14 hours of steaming. It also comes with years of experience in controlling the fire. “We work from as early as 5am to 10pm every day to produce the nian gao. It may be a lot of hard work but it’s important to uphold the tradition and culture,” he added. Nian gao, also known as thnee kuih in Hokkien or kuih bakul in Bahasa Malaysia, is among some of the traditional cake offerings at the altar during Chinese New Year. Nian gao is customary for the annual sending-off of the Kitchen God a week before Chinese New Year, when the deity ascends to heaven to present a yearly report on the households to the Jade Emperor. 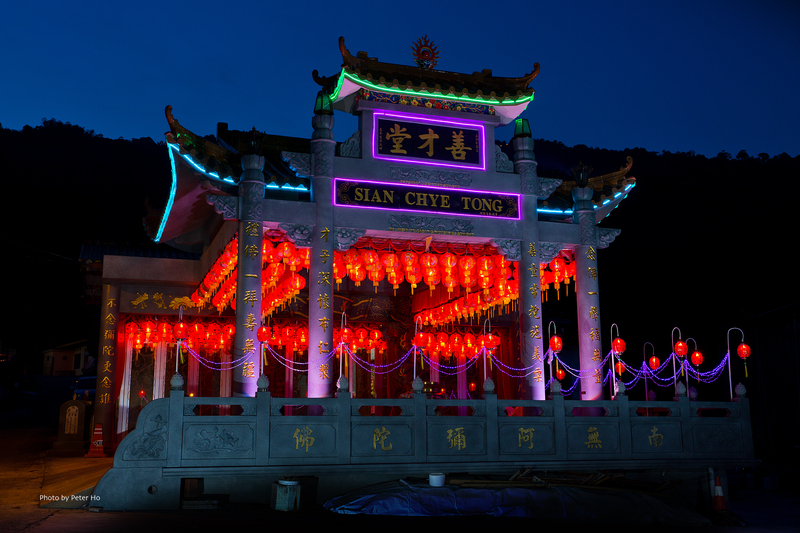 ABOUT 1,000 devotees in Penang are expected to take part in the 10km procession to celebrate the 85th anniversary of Sian Chye Tong Temple in Hye Keat Estate, Air Itam. The grand procession, to be held at 8pm on Feb 28, will start from foot of Penang Hill and pass by Jalan Air Itam, Jalan Thean Teik, Lebuhraya Thean Teik and Jalan Paya Terubong before returning to the temple. Persatuan Penganut Dewa Sian Chye Phor Sat chairman Khoo Gim Siew said the procession was held every five years. “About 30 temples will be taking part in the event,” he said when contacted yesterday. Khoo said the other events scheduled were a fire-watching ceremony to predict the country’s eco­nomy at 10pm on Feb 24, as well as prayers and offerings to the Jade Emperor on the night of Feb 26. “We will also hold a mini procession to welcome the arrival of the ashes of Sian Chye deity Muar, Johor, at 9pm on Feb 27. “There will also be lion dance and drum performances during the 2km procession,” Khoo said. He added that the 85th anniversary dinner would be held at 7pm on March 2 at Che Hoon Khor Moral Uplifting Society Penang in Macalister Road. For more details, call the temple at 04-8283296. THERE will be 1,300 free parking lots available for cars for the upcoming Penang Hot Air Balloon Fiesta 2016 at the Polo Ground on Feb 9-10. Penang Global Tourism chief executive officer Ooi Chok Yan said the parking lots are located at SK Jalan Residensi, SM Tuanku Puan Habsah, SMK (P) St. George, St. Christopher International Primary School, Che Hoon Khor Moral Uplifting Society and Taman Jajar in York Road. The empty parking space opposite Disted College will only be available on Feb 9. “Visitors to the fiesta can park at these places for free,” he told a press conference in Komtar, Penang, on Monday. Ooi said Sepoy Lines Road beside the Polo Ground would be closed to traffic from 10pm on Feb 8 to 10pm on Feb 10 while Tull Road would be temporarily turned into a one-way street on Feb 9 and 10, with traffic heading towards Gaol Road/Barrack Road. He also said that the Penang Sports Club had granted permission for its field to be used as a helipad should there be a need for emergency helicopter transport for the Penang Hospital. For those who prefer not to drive to the venue, there will be free shuttle buses from the Rapid Penang bus terminal in Weld Quay, Tesco Tanjung Tokong and Queensbay Mall on 30-minute or hourly intervals from 7am to 10pm. Ooi said visitors could also opt for the MyTeksi app which is offering RM8 discount for passengers each way using the promotion code – HAB16. The Hop-On Hop-Off bus City Route will also have extra drop-off stops near Polo Ground on both days. Northeast district traffic police officer Asst Supt M. Matavan warned motorists not to park their vehicles along roadsides near the venue. “They would be issued summonses and their vehicles towed away”. The fiesta, to be held from 7am to 9.30pm on both days, will feature 15 hot air balloons, a ‘night glow’ show, free flying balloons and other family-orientated activities. It is organised by AKA Balloons, endorsed by the state government and supported by the Penang Island City Council and Penang Global Tourism. For further details of the event, visit www.penanghotairballoonfiesta.com or http://penanghotairballoonfiesta.com/how-to-get-there.php for traffic updates.